There isn’t a person who owns a smartphone today who hasn’t heard of Otterbox. 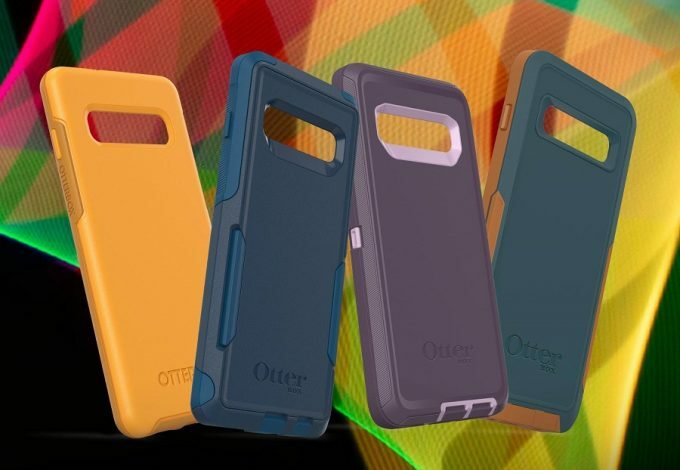 Otterbox has provided thousands upon thousands of people with cases for their smartphones that provide ultra protection, style, and has covered just about every phone ever made. 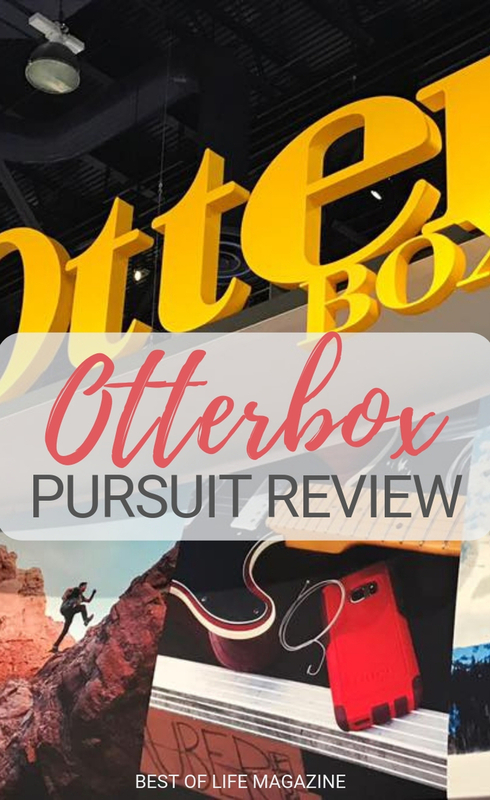 One of the newest cases by Otterbox is the Otterbox Pursuit series and everyone wants to know, how can you make the best even better? 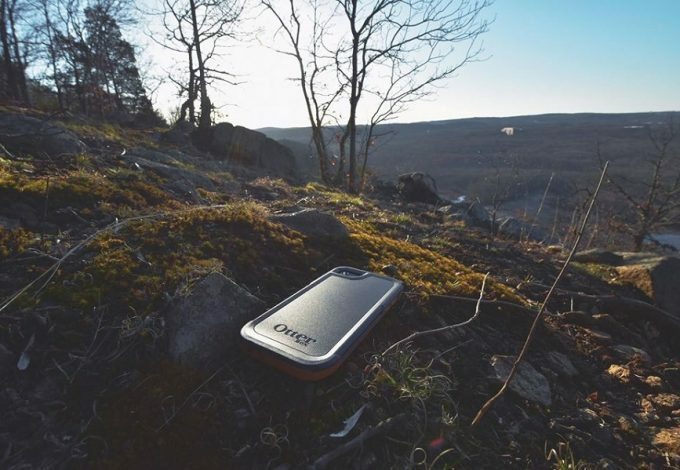 Otterbox has done it again with their newest smartphone case, the Otterbox Pursuit Series. 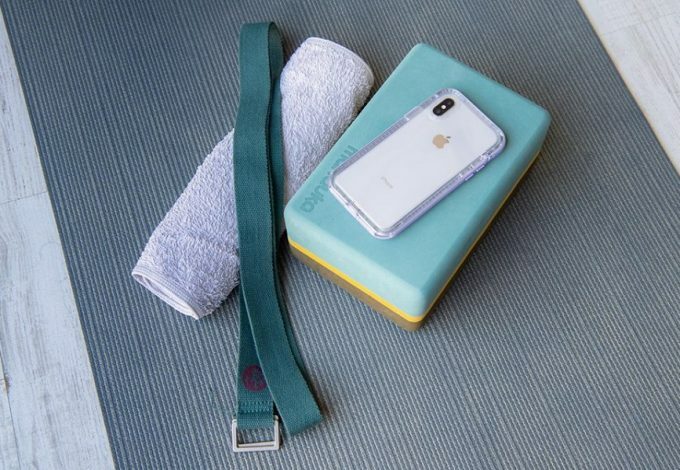 Taking cues from past cases, the Pursuit smartphone case has a lot of useful features. The tech industry is constantly moving, constantly changing and always upgrading which means accessories need to do the same. When a case comes out, it needs to provide protection for the device, style for the user, and create confidence that the case will make sure the phone can withstand a lot. 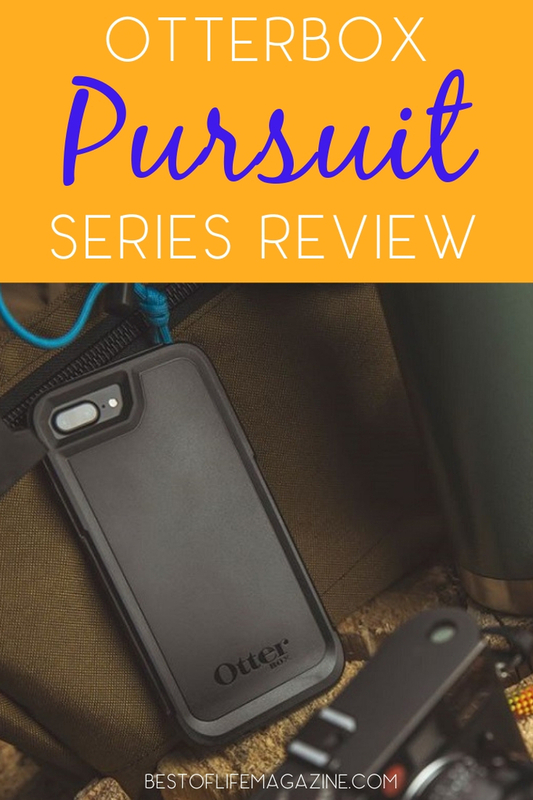 The Otterbox Pursuit Series is a prime example of how accessories need to adapt and grow along with the tech devices they protect. Taking a new approach to design and still keeping the high level of protection that Otterbox is known for, the Otterbox Pursuit Series is the newest top of the line case. 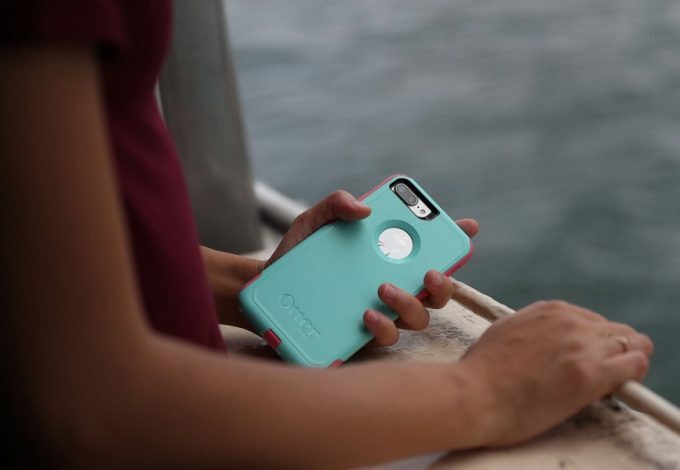 Similar to other Otterbox cases, Pursuit comes with layers of protection. The exterior layer is made from proprietary polycarbonates that have been designed to specifically for impact protection. The inner layer is made up of dual-purpose foam that seals around the edges of the outer layer making sure that dust and other particles stay out from between the case and the phone. 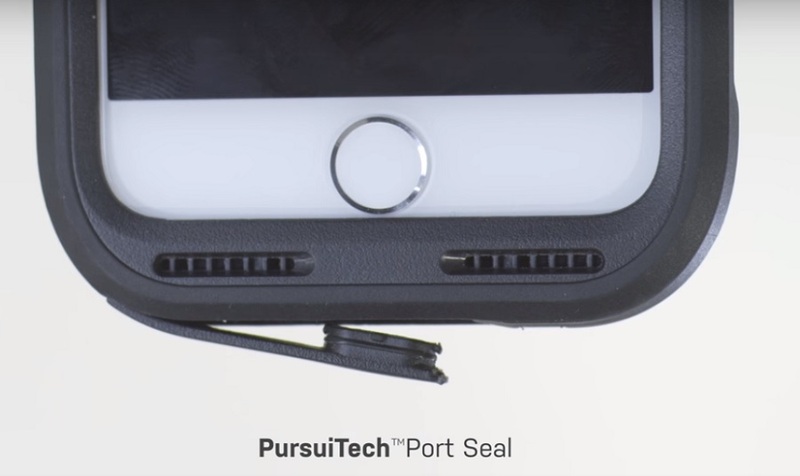 Together, these two layers create what Otterbox is calling, ‘PursuiTech’. Port seals protect the charging port of the smartphone as well as the speakers and a sealed camera opening prevents lens scratching or any other camera damage. The edges around the outside of the case are raised, creating an indented back plate and a buffer between any surface and your front display. Finally, a loop is included in the build for lanyard attachments. 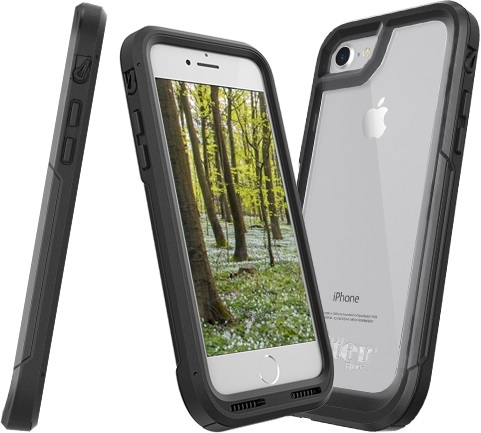 One of the interesting things about the Otterbox Pursuit Series is the level of protection. When you see the case, it lands somewhere between the Defender case and the Symmetry case in size. 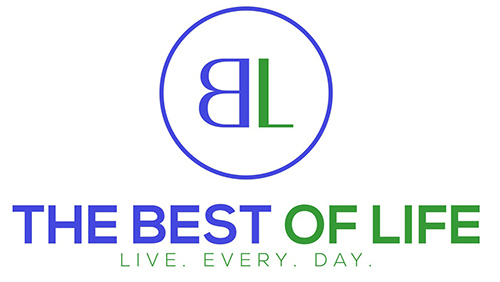 That means it has a sleek, modern design that makes it easy to carry around and even easier to use. However, the interesting part is that the PursuiTech has made it so that it provides almost identical protection as the Defender case. A quick reminder, the Defender case has the highest level of protection in just about any case on the market. Altogether, the Pursuit case offers patented drop protection as well as dust, mud, dirt and snow protection. While not waterproof, the Pursuit case does an amazing job of protecting your device. Surprisingly enough, the Pursuit case does exactly what you would expect from an Otterbox product. The surprise is in its size. As one of the slimmest cases Otterbox has made, the protection level is expected to take a dip. However, the protection level is the second highest from Otterbox thanks to the PursuiTech that Otterbox has come up with. Having that drop protection as well as dust and dirt protection makes this case amazing but adding enhanced audio, direct screen access, and a loophole for a lanyard makes it even better.